These craft kits have all been put together for you at Tea and a Sewing Machine HQ! Each kit contains the materials needed to make the item and full, printed instructions. They come nicely packaged in a little bag, perfect for a gift for a crafty person or as a treat for yourself! Most of them will have a tutorial on the site already, so please have a look if you need more information. Postage is First Class vis Royal Mail. For customers within the UK, there is a flat fee of £2. For international customers, obviously postage is going to be a bit more depending on where you are. I am happy to ship stuff anywhere, but if you are outside of the UK I will need to charge you separately until I get it sorted out on the site. 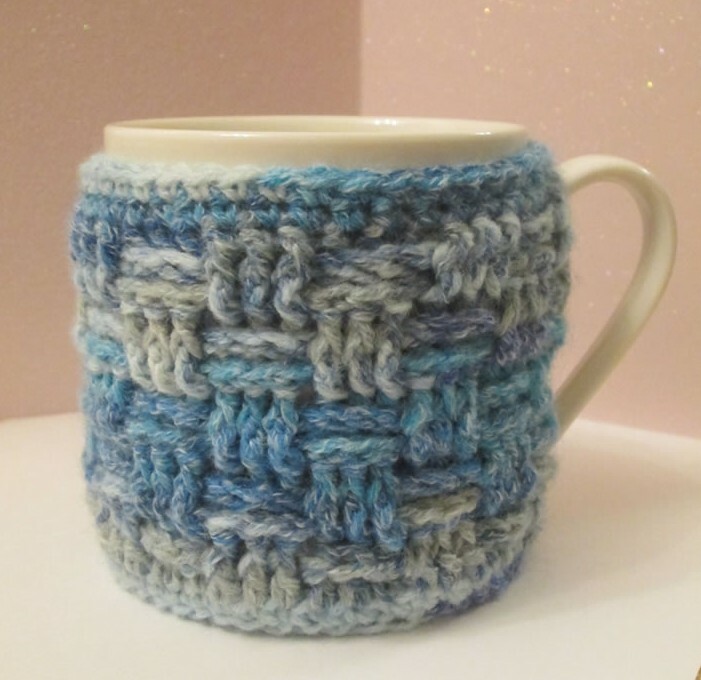 This kit requires more crochet skills than jewellery making! 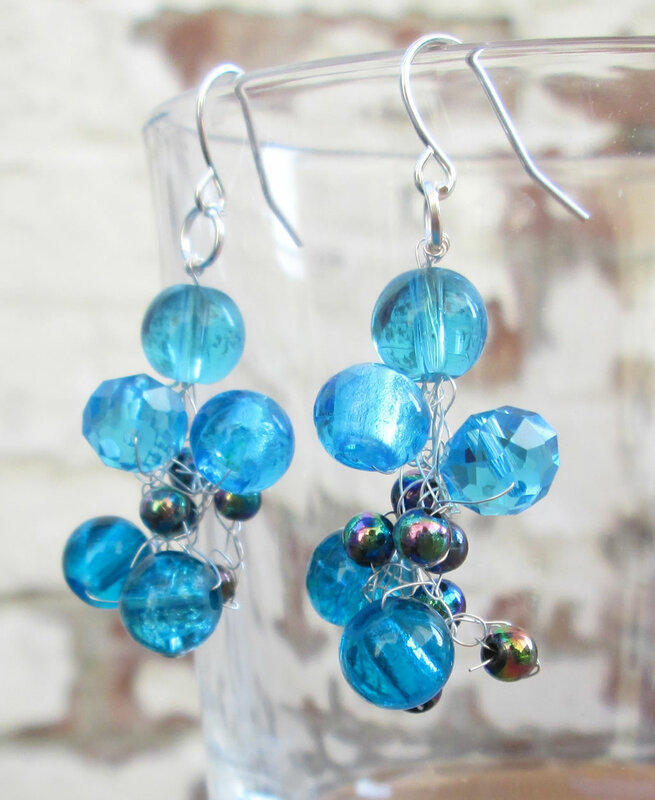 These earrings are made by crocheting strands of wire, adding beads as you go then plaiting the strands together. 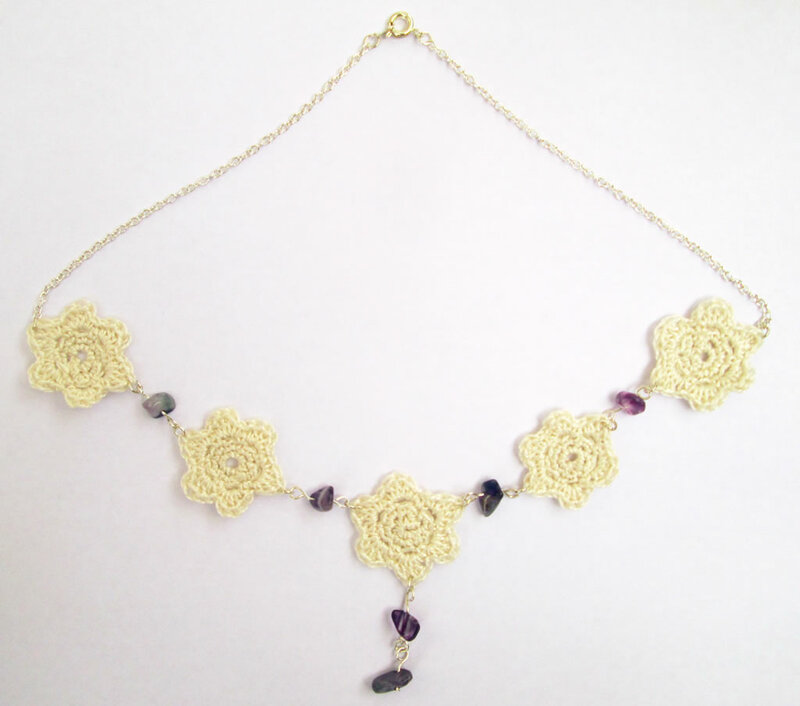 The kit contains silver plated wire, jump rings and ear wires, 10 6-8 cm beads and seed beads. You will also need a metal 2 mm crochet hook. Contents may very slightly and other colours may be available. Please ask! This kit contains enough thread to make 5 little flowers, 8 amethyst chip beads, eye pins and head pin, jump rings, 50 cm silver plated chain, lobster clasp and full printed instructions. See the tutorial here. You will also need some round nosed pliers and a 2 mm crochet hook. 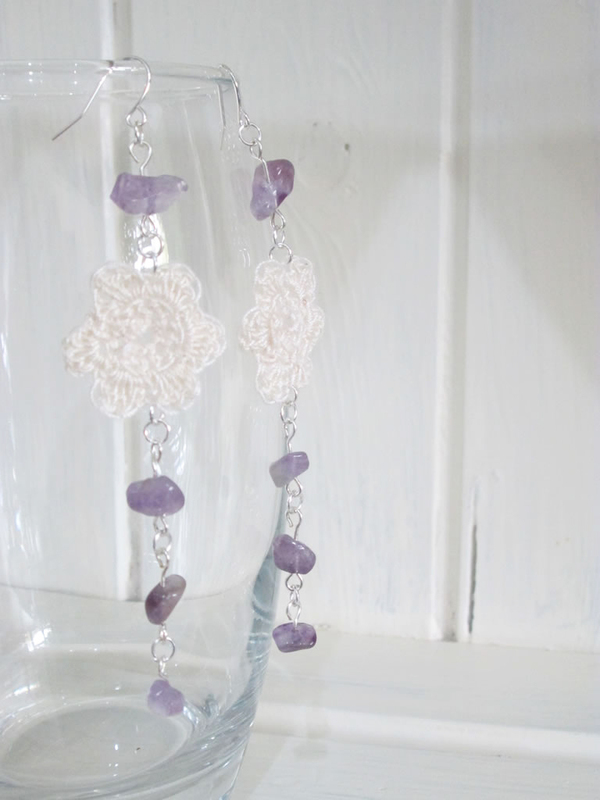 The kit includes 8 amethyst chip beads, 2 ear wires, jump rings, eye pins and head pins, thread to make the flowers and full printed instructions. See the tutorial here. A nice kit for a confident beginner. It contains yarn to make 1 cosy, a 4 mm crochet hook and full, printed instructions. 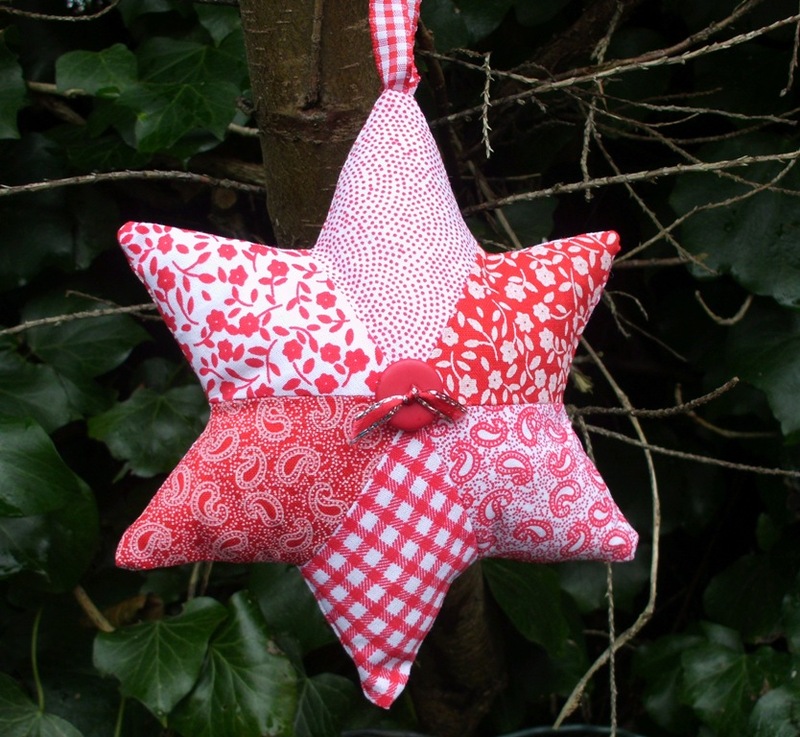 A kit to make a patchwork star decoration. The kit contains 12 precut cotton shapes of 6 designs, 2 buttons, gingham ribbon and red satin ribbon. You will also need a needle and thread and polyester filling. The kit comes packaged in a paper gift bag which can be used for storing the kit if you don’t finish it all in one go. The contents may vary slightly.